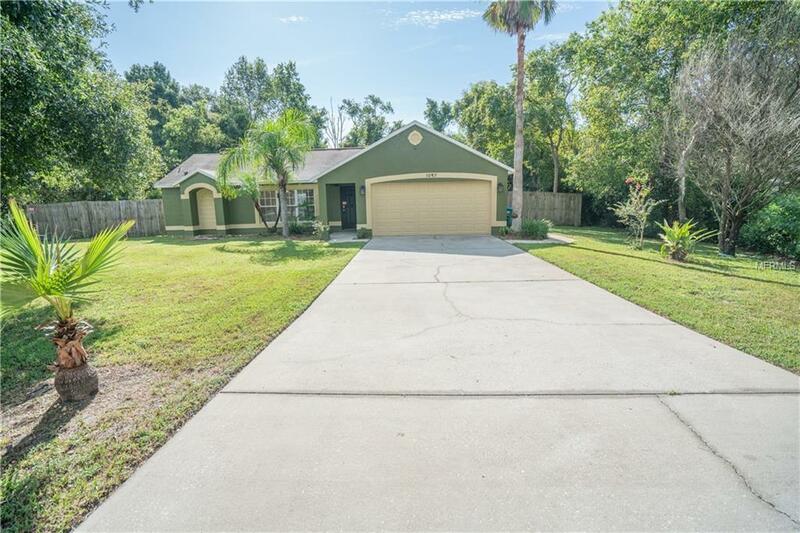 Gorgeous 4 bedroom home in Deltona neighborhood on huge beautifully landscaped cul de sac lot. NEW wood look vinyl floor and NEW AC unit. Kitchen showcases stainless steel appliances, pantry, and breakfast bar. Master bedroom includes deep walk in closet, and en-suite bathroom includes tile shower. The layout consists of a separate living and family room, dinette, and dining room. Master bedroom offers walk in closet, and en-suite master bathroom with tile shower. Large patio off rear sliding door overlooks private fenced grass backyard. Great set up for BBQ's. A must see! !